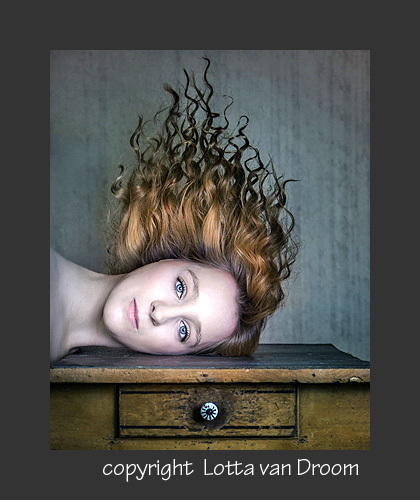 Spotlight Interview … Portrait and Fine Art Photographer Lotta van Droom | James Robinson Photography Blog - Spotlighting contemporary photographic talent ..
James Robinson Photography Blog – Spotlighting contemporary photographic talent ..
JRP: Portrait and Fine Art Photographer Lotta van Droom shares her thoughts and images with James Robinson Photography Blog. Thank you Lotta for taking a few moments with us. Lotta van Droom: You’re welcome and thank you, too. JRP: Where do you call home Lotta? JRP: How did you get your start in photography? Do you have any formal training? 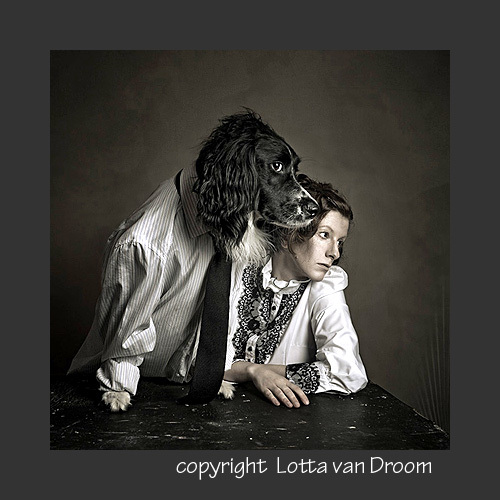 Lotta van Droom: I started at the age of 15 when my grandfather gave me his old SLR. It was a “Praktika”. I was hooked instantly. At this time I photographed flowers and ruins and other immobile things. I never had a formal training. I read a lot of books about photography and I tried many things. By taking pictures of static motives I learned a lot about the right light. Later I took self portraits and this gave me a better understanding of facial expression and gestures. So I could say that the most I know about photography is self-induced. JRP: What is your chosen genre of photography? 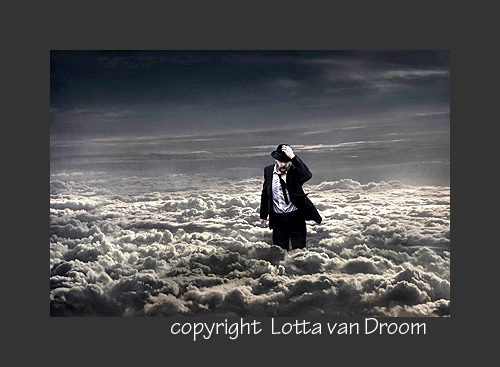 Lotta van Droom: My genre is people photography with a surreal, imaginative and sometimes unreal style. You could call me a day-dreamer. I create stories in my mind and with my photos I try to show some excerpts of them. My goal is not to depict reality. I want to show my world of fantasy and wishes. The extraordinary that is in my thoughts is what I want to visualize in my photos. JRP: Name a few photographers that have contributed to your growth and style. 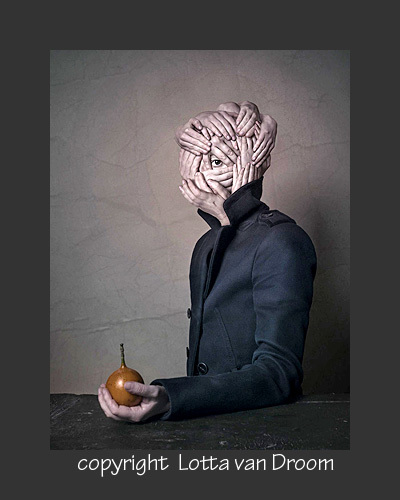 expressive and emotional portrait and people photography. JRP: What would I find in your camera bag for a typical shoot? Lotta van Droom: You could find a Sony Alpha 57, a Sony Alpha 7R, some lenses (Sony 18-55mm, Tamron AF 70-300mm, Carl Zeiss Vario-Tessar 24-70mm, a tripod (Rollei), a reflector and chocolate cookies. JRP: Do you favor artificial or available, hard or soft light? What type of modifiers do you use and why? Lotta van Droom: Usually I prefer artificial soft light and a studio environment because there I can adjust the light according to my priorities and don’t have to prepare for contingencies. Regularly I photograph with one or two flashlights with soft-boxes. But sometimes I dare to go outside and take photos in the nature. JRP: Please describe your digital work-flow and the software you use. 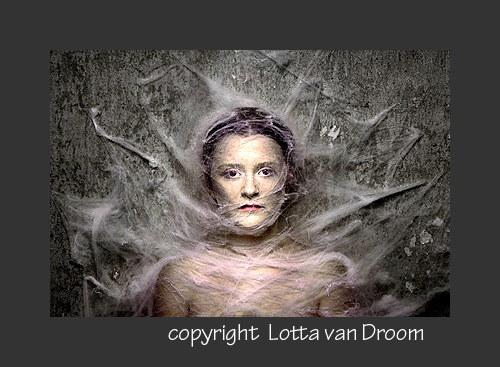 Lotta van Droom: I use Adobe Photoshop for my post-processing. This step is the most time-consuming part of my work. It can take a few hours to several days. I also use IrfanView as a compact image viewer and for some thumbnail options. JRP: Could you share one of your most memorable shoots and what made it special for you? Lotta van Droom: Once my model and I were looking for the perfect location in the woods. It was one of the first nice days after heavy rain. We found a nice little lake and went straight in its direction. Unfortunately there was a swamp like area between us and the lake and we both sank knee-deep in the mud. We somehow made it out of the morass and got some beautiful photos but our clothes were ruined. If you watch the photos you’ll never imagine the dirty legs stuck in mud filled rubber boots I kept outside the frame. JRP: If not photography what would you be doing with your time? Lotta van Droom: I care deeply for animal welfare. Working in a shelter for unwanted animals is something I could see me doing. I actually had dogs in foster care before. Having on top my own dog throwing toys around, and you can imagine why post processing of some photographs took slightly longer than expected. JRP: What has been some of the best advice given to you by another photographer? daran klammert, hat keine Phantasie.” Which means basically: Who, as a starter ignores photographic rules has no brain. But who abide to them all the time, has no phantasy. JRP: What special advice would you like to share with other photographers? enormously to become confident in handling more complex projects. A general advice for all artists would be not to rely on the taste of others. 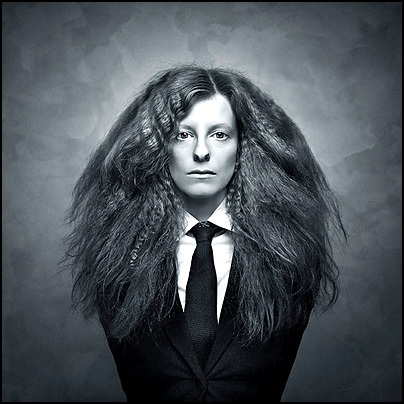 JRP: Thank you Lotta for sharing your thoughts and images with us. We wish you continued success. Lotta van Droom: Thank you, was a pleasure to answer your questions.